The Bishop of St. Asaph laid the foundation stone of St. Michael's church on Monday, 6th October 1851. The church was consecrated on 12 July 1853. 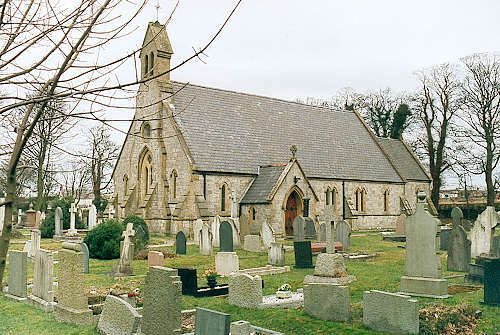 The new parish of Brynford (Welsh: Brynffordd) was created in 1854, from the township of Brynford (formerly in the parish of Holywell), and parts of Trellan Ucha and Prysau (formerly in the parish of Ysceifiog). For family history information about the church and parish, visit the GENUKI Brynford page.